Extremely agile and graceful and polite, the Balinese cat is not prone to intentionally knocking over objects or misbehaving. They enjoy a game of fetch but equally enjoy taking naps. Balinese cats are often viewed as mellow versions of the Siamese. 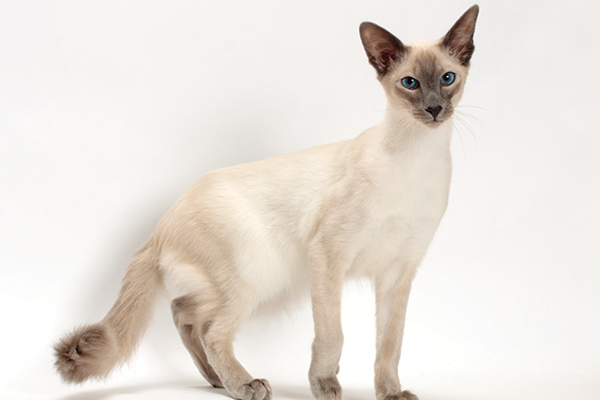 A Balinese cat looks like a petite version of a Siamese cat. Photography by Tetsu Yamazki/ Juniors. 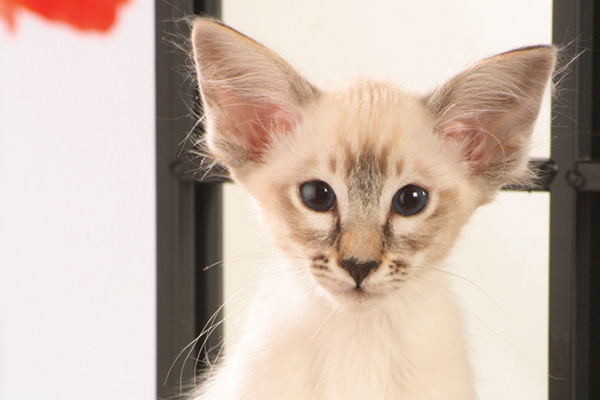 The Balinese looks like a more petite version of the Siamese with her fine wedge-shaped head, oversized ears and big, blue eyes. The difference is the coat length – the Balinese coat is longer and silky and a beautiful plumed tail. The coat comes in a variety of colors, but only four are recognized at CFA cat shows: seal point, blue point, chocolate point and lilac point. Females weigh between 5 and 6 and males weigh between 7 and 8 pounds. Who Gets Along With Balinese Cats? What Is a Balinese Cat Like to Live With? Extremely agile and graceful and polite, the Balinese is not prone to intentionally knocking over objects or misbehaving. They enjoy a game of fetch but equally enjoy taking naps in your lap. Balinese Cats are often viewed as mellow versions of the Siamese. The Balinese is not as nosy or inquisitive or insistent as the Siamese. They are also far less vocal. The Balinese enjoys hanging out in high places like the tops of doors and tall cat trees or tops of refrigerators. Balinese crave company and fare best in homes with other pets. The Balinese enjoys a long longevity with many reaching age 20. These cats have longer hair than Siamese but do not shed much and just need a quick combing once a week to maintain their healthy coat. Considered to be among the smartest of all cat breeds. 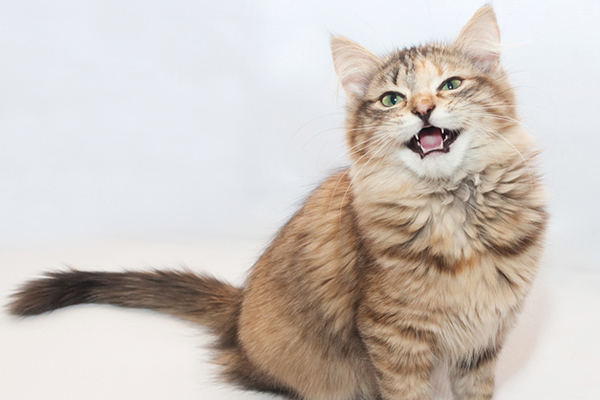 Although this breed’s beginnings are unknown, it is generally accepted that the breed originated as a spontaneous mutation when semi-longhaired kittens were born to a Siamese in the 1940s in California. A decade later, two Siamese breeders from California and New York began line breeding to produce longhair Siamese now known as the Balinese. Two varieties of Balinese exist: traditional and contemporary. Traditional ones have coats two inches long all over the body while the contemporary has a much shorter coat. Today, the Balinese is a rare breed ranked 35th in popularity among the 41 breeds listed by the Cat Fanciers Association, which recognized it for competition in 1970. Thumbnail: Photography by Bildarchiv GMBH/iStock.